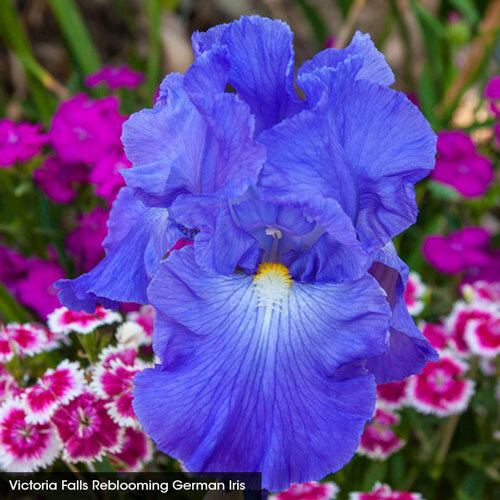 Blue blooms are hard-sought and highly prized by home gardeners. Whether your palette is bright and fiery or subtle with soft pastels, a splash of cool tones never goes amiss. 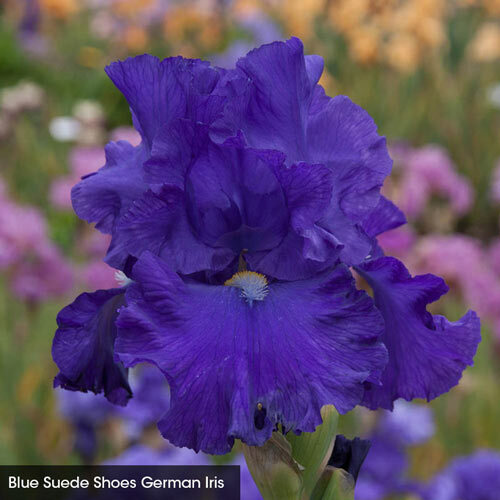 And no bloom does blue quite like the elegantly swirling and ruffling bearded iris. 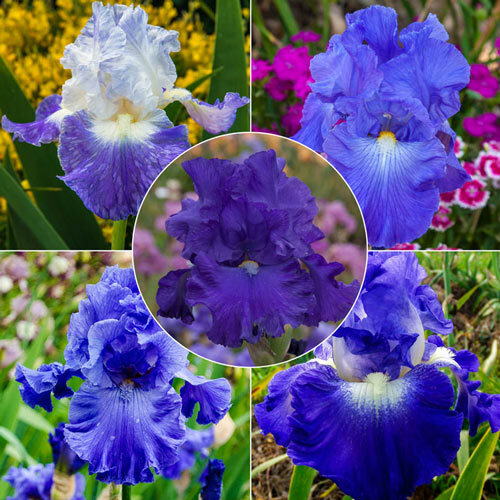 The five iris in our Heavenly Shades of Blue Collection are exceptional in many ways. 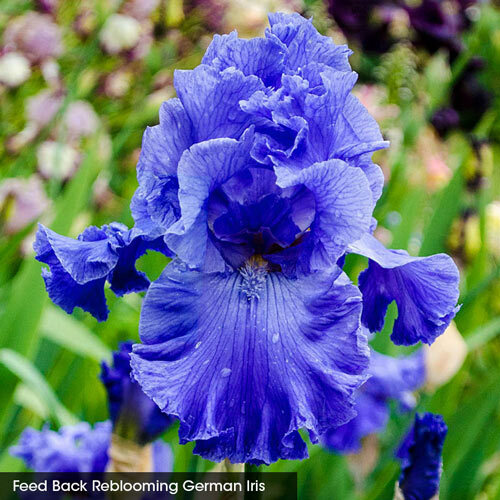 We picked reliable rebloomers, prestigious award winners, fragrant varieties, and of course some of the most divine shades of blue around. 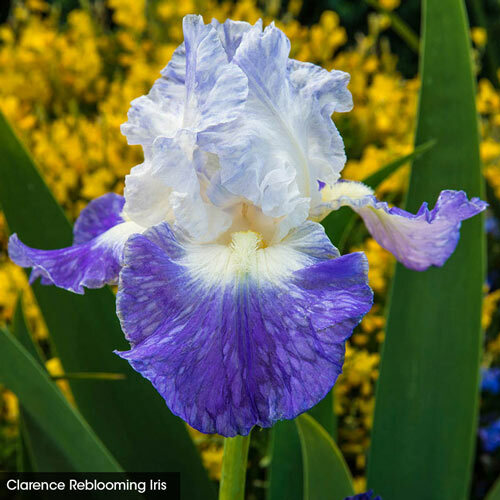 You can depend on them to return for years to come, and to put on a remarkable performance each and every time. Planting InstructionsIn clay soil, rhizomes should be slightly exposed. 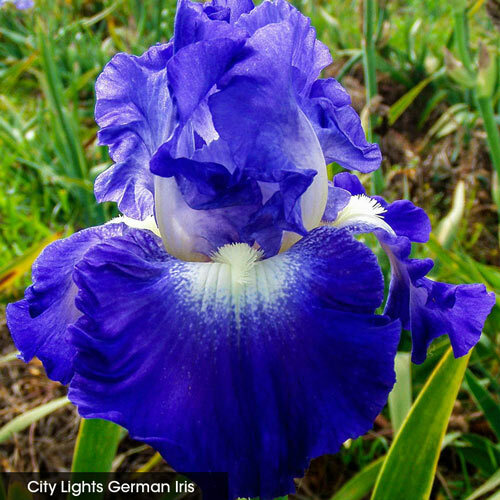 In sandy soil, they should be covered an inch or two. Full sun is best, at least 5 hours of sunlight each day. Water during dry periods. Winter CareMulch in colder climates, after the ground freezes. Remove mulch early in spring, before the new growth starts. Foliage TypeGlaucous-green, sword-like fans of stiff upright leaves in spring and summer, with some die-back in winter in colder climates. Soil RequirementPrefers well-drained soil, but is tolerant of a wide range of soils. PruningIn late fall, cut foliage to 6" fans. Remove plant debris to prevent borers from overwintering. Late fall to early winter. Unique CharactersticsCollection records: 456, 412, 1513, 12293, 6623.